Join us for A House Divided on May 17 at 5:30 pm (CST) when Richard E. Quest talks with Daniel Weinberg about I Held Lincoln: A Union Sailor’s Journey Home. I Held Lincoln tells the story of almost a year in Lt. Benjamin Loring’s life; taken from his recently discovered private journal. Lt. Benjamin Loring (1824–1902) lived the life of an everyman Civil War sailor. He commanded no armies and devised no grand strategies. Loring was a sailor who just wanted to return home, where the biggest story of his life awaited him. I Held Lincoln describes the lieutenant’s command of the gunboat USS Wave, the Battle of Calcasieu Pass, the surrender of his ship, and his capture by the Confederates. He was incarcerated in Camp Groce, a deadly Confederate prison where he endured horrific conditions and abuse. Loring attempted to escape, evading capture for ten days behind enemy lines, only to be recaptured just a few miles from freedom. After an arduous second escape, he finally reached the safety of Union lines and gained his freedom. On the night of April 14, 1865, Loring attended Ford’s Theater and witnessed one of the single most tragic events in American history: the assassination of President Abraham Lincoln. After the shot rang out, Loring climbed into the presidential box and assisted the dying president, helping to carry him across the street to the Peterson House. Quest tells this astonishing now-recovered story, giving insight into a little-known Confederate prison camp during the last days of the Civil War and providing much-deserved recognition to a man whose journey was nearly lost to American history. Richard E. Quest is the founding president and executive director of the charitable nonprofit organization Books in Homes USA, Inc. He is a former history teacher, has held administrative positions in public education, and was a dean and associate vice president of several colleges. Quest is a member of the Loudoun County Civil War Round Table and is a guide at the Ball’s Bluff Battlefield Regional Park in Virginia. He recently relocated to northern Virginia. Order Your Signed Copy Today! We’ll ship it right after the show. Remember to watch at AuthorsVoice.net or Live at our Facebook page on the 17th at 3:30pm CST. 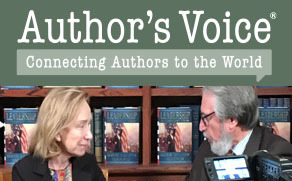 Author’s Voice connects authors to the world! Our live stream can be watched from any platform, on any device. You can watch at AuthorsVoice.net or at our Facebook Page. Do you have a question for our author? Use the link at the web site to ask it now, or live during the show. We’ll share it with the author. Order your signed book, before, during or after the show. You can watch it again and again at our YouTube channel too. Keep in touch on social media, via Facebook, Instagram, Twitter and YouTube. Find us on all the platforms by searching for authorsvoice.